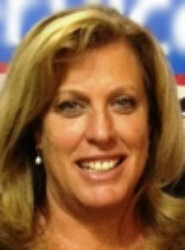 Janine Wert, LICSW, serves as the Director of Military and Veterans’ Services at the University of Massachusetts Lowell. She designed and implemented the Military and Veterans’ Services program there, increasing military member and student Veteran enrollment significantly over the past seven years with the support of administration, faculty, staff, and students. Prior to her appointment at UMass Lowell, Janine served as a Readjustment Counselor and Family Therapist at the Lowell Vet Center, and as a Program Manager and Case Manager at the Manchester VA Medical Center, Manchester, NH. She founded and implemented the first Operation Enduring Freedom and Operation Iraqi Freedom (OEF/OIF) Program at the Dayton VA Medical Center, Dayton, OH. Janine is familiar with military life as a career military daughter, career military spouse, and mother of military members. She has both a personal and clinical understanding of the challenges and opportunities present in military service and the transition to civilian life and has served over 20,000 OEF/OIF Veterans throughout her career. Janine earned her Masters’ in Social Work from the Ohio State University after earning a bachelors’ degree in Psychology from the University of Florida and Design degree from Lynn University. She is currently a Doctoral candidate in Executive Leadership at the University of Charleston. Janine has clinical expertise in Post-Traumatic Stress Disorder, Traumatic Brain Injury, and Suicide Prevention. Janine has served as the Secretary/ Secretary-Elect, the Vice-President Elect, and currently, serves as President-Elect of CCME. Her passion is improving the Quality of Life for military members, Veterans, and their families.